On my first full day, I visited several familiar locations. 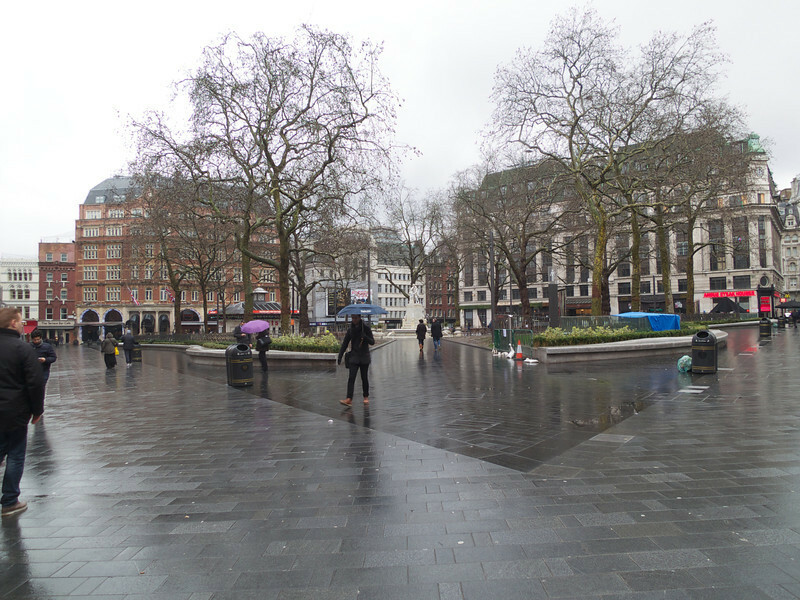 Leicester Square is now accessible! . I then strolled over to Piccadilly Circus and ttook the Underground over to the South Bank. After a stop in Trafalgar Square, I spent the rainy afternoon in the British Museum.